Michigan-based Art Van Furniture started in 1959 and has since grown to become America’s largest independently-owned furniture retailer. “We built 31 stores in the initial 50 years, and added 69 more in the next 5,” says general counsel Mike Zambricki. Art Van Furniture has a history of growth and expansion, but the company has never seen times like these. The large furniture retailer got more aggressive five years ago when it “decided” not to participate in the recession. Since then, it has added new product categories, expanded beyond its Michigan borders, tripled the number of its stores, and added franchising to fuel future growth. Today, the Art Van name is on a total of 100 stores: 43 full-line furniture stores, 50 mattress stores, and 7 franchise stores. At the center of it all has been vice president and general counsel Mike Zambricki. He’s helped negotiate deals, lead acquisitions, and steer the company during a critical era. 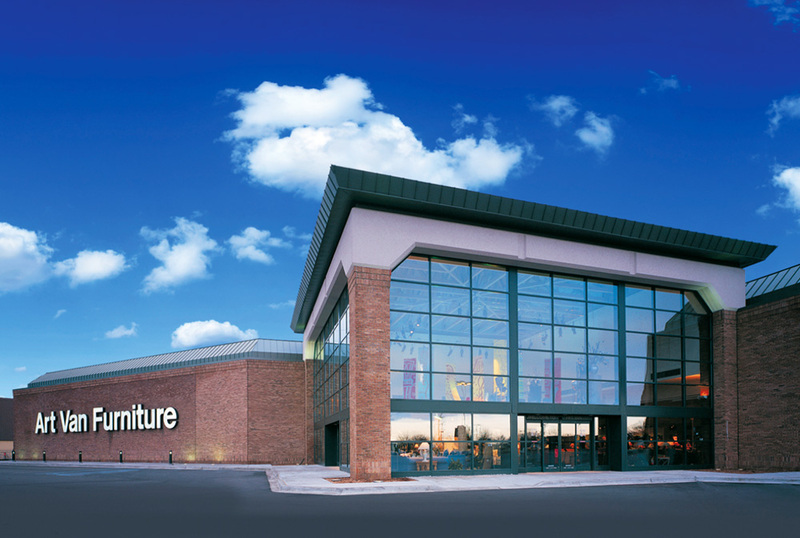 Now, he’s helping the Midwest’s largest furniture retailer continue its rapid development. Zambricki, who happened to grow up just a few miles from Art Van’s corporate headquarters, joined the company in 1993. He witnessed a period of slow and steady growth, followed by a more recent explosion. “Our vision has been to play to our strengths,” he says. “We’re good at buying great products, providing exceptional value, and coupling that with outstanding sales expertise and customer service,” he says. The family-owned company maintains an authentic culture despite its expansion. Art Van originated with Art Van Elslander, who is still at the helm of the business. The company is committed to community efforts and hosts annual events that have generated more than $17 million for local charities over the past five years. Despite the recession, Art Van Furniture has been on a growth spree for the past several years, opening new locations beyond the borders of Michigan, where it is based. After opening 55 years ago, Art Van remains privately owned. “It takes hard-working people, talent, and a great team,” Zambricki says. “We can’t excel without all of those ingredients.” He shares the company vision of becoming the number one furniture retailer in each Art Van market. A lean team pursues that goal—Zambricki’s small legal department keeps costs down by providing almost all legal services in-house. He manages that through a preventive approach to keeping problems and litigation at bay. By doing so, he keeps Art Van protected during its periods of intense growth. The company once sold only interior furniture and mattresses; in the past four years, it has added televisions, flooring, design services, outdoor furniture, and cleaning services. “Art Van is now synonymous with everything for the home. We want to make the home a comfortable place for people to go and relax,” Zambricki explains. Things started to turn in 2009 after a stagnant period attributed to the global recession. “The rest of the economy hit hard times, and our home state was leading the way,” Zambricki says. “But we decided not to participate in the recession. After all, there were still customers in the market—just fewer of them.” Art Van decided again to focus on its strengths and made the decision to expand. “We built 31 stores in the initial 50 years, and added 69 more in the next 5,” Zambricki says. The growth began when the company entered an agreement with Paul’s TV to sell electronics, followed by the purchase of a Northern Michigan company to open new stores in that region. The company identified existing stores that were successful in smaller markets and added them to the list of Art Van dealers through franchise agreements. The first franchisees more than doubled their sales in year one. 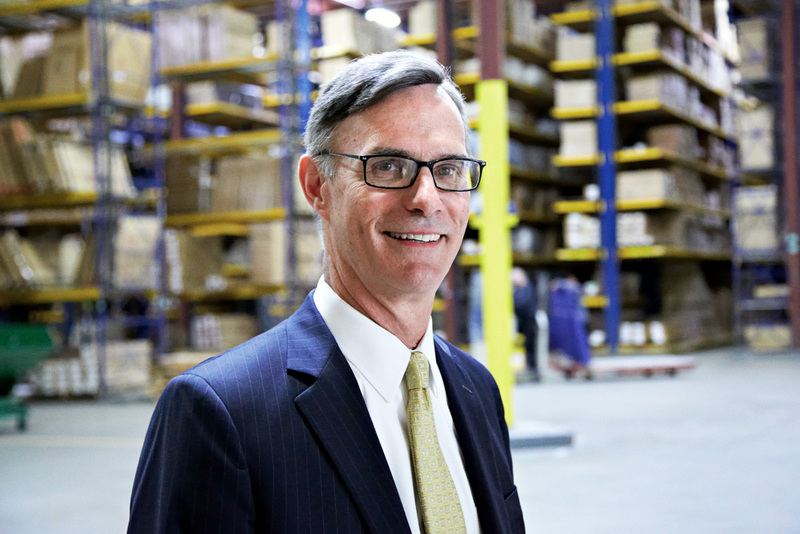 Zambricki says that success is possible because Art Van takes care of buying, importing, warehousing, and distribution, so its retailers can focus on sales and local delivery alone. Next, Art Van intensified its focus on one key product—bedding. The company acquired a 30-store chain, built a process to help customers find their perfect mattress, and offered a comfort guarantee. Now, Art Van sells one of every two mattresses in Michigan. Art Van continues to expand its mattress business by adding additional mattress specialty stores. In 2013, Art Van’s legal team set up a limited liability company to help expand outside of Michigan. Zambricki monitors each region to ensure the company maintains compliance in every market. Different states, for example, have different laws and rules that can impact a growing business. During this growth, Zambricki has worked hard to protect his company’s intellectual property, minimize risk, and aggressively expand its real-estate portfolio. Now, he’s in discussions with his fellow executives about how Art Van can continue its impressive rise to the top.